Where is the West's compassion & condemnation following terror attacks in Middle East? Facebook users were not instructed to do so, but may nonetheless wish to change their profile pictures in solidarity with the families and friends of victims of recent terrorist attacks. A great many of the victims were aspiring university students, others were school teachers, children, infants, parents, and elderly. Their bodies were torn apart in the acts of violence, many unidentifiable. Most of these innocent victims will go unnamed, their murders obfuscated, or largely unnoticed, in Western media. 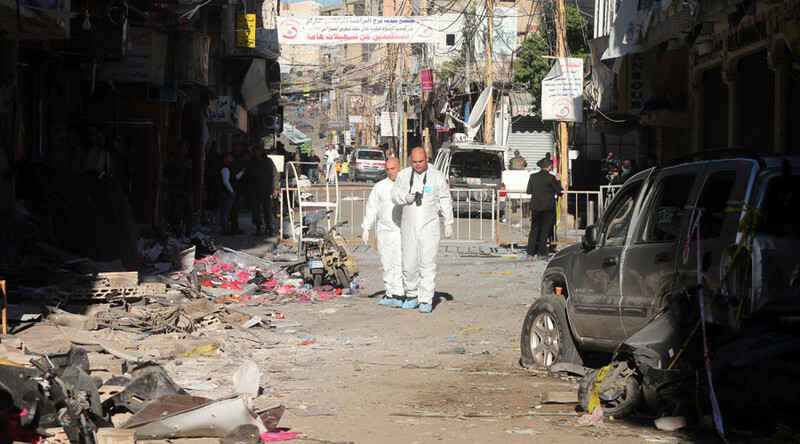 On November 12, 2015, a double suicide bomb ripped through the Bourj al-Barajneh neighbourhood of southern Beirut, killing 45 and injuring 200 more, many critically so. The terrorists attacked just before 6 pm, on a narrow and crowded residential and commercial street, ensuring maximum loss of life. More would have been murdered had not a local man, Adel Termos, tackled an approaching suicide bomber. Termos lost his life in the blast, but saved countless others with his act of courage. On December 12, 2015, terrorists car-bombed, then suicide-bombed, the al-Zahra'a neighborhood of Homs, Syria, killing at least 16 civilians and injuring over 50, according to initial reports from Syrian State media (later updates noted 20 dead and over 100 injured). The deaths and destruction from the initial car-bombing—near the Ahli Hospital—was made worse since the terrorists set off their bomb next to a natural gas delivery truck. Later, a terrorist returned to the scene and detonated his explosive vest among rescuers who had come to help the injured. This pattern repeated itself on December 28, 2015, in al-Zahra'a, where a car bomb followed by a suicide bomb, killed up to 30 civilians, and injured over 100, according to Syrian state media initial reports. Again, on January 26, terrorists car and suicide bombed al-Zahra'a, killing at least 24 and injuring over 100, many critically-so, according to Syrian state media. 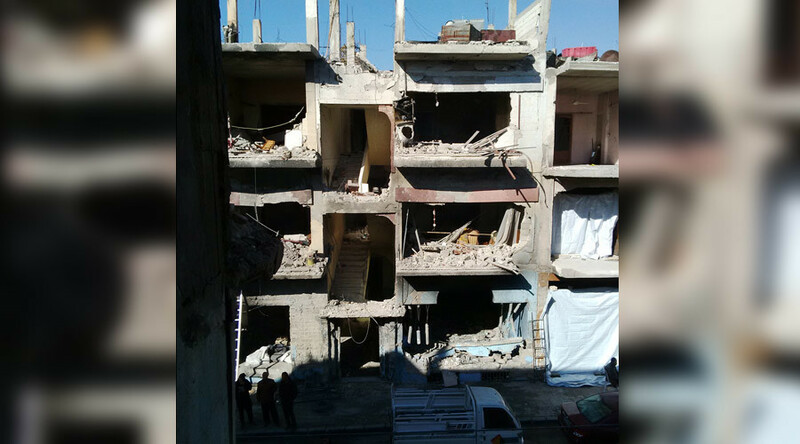 The al-Zahra'a district of Homs had been terror-bombed many times prior to the December 12 attacks, as have other areas of Homs, including the Ekrama district, which suffered a school bombing on October 1, 2014. There, terrorists car and suicide-bombed next to the school, killed 45 people, mostly children and women, according to al-Masdar News. Video footage showed terrified, maimed and dead children being carried away from the school. The terror attacks are not limited to Homs. Over the past 5 years of this foreign war on Syria, Western-backed militants have committed such acts of terrorism all over Syria. 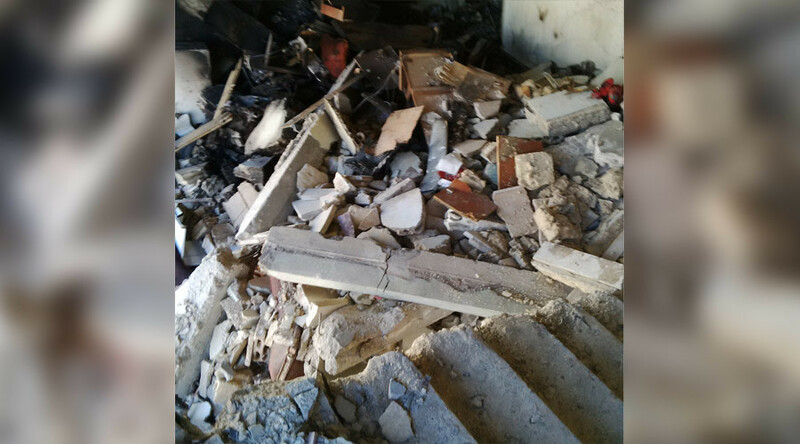 On December 30, 2015, members of Da'esh (ISIS) triple-bombed Qamishli, north-eastern Syria, remote-detonating explosives in three restaurants, killing at least 16 civilians. On January 24, 2016 Da'esh again terror-bombed the city, killing at least three people. The list of terror attacks in Syria, and neighbouring Lebanon and Iraq, is an endless and long list. Yet, while the vast majority of the victims are civilians, their deaths do not merit the same front-page coverage as similar acts do in the West; the terror attacks do not merit the same statements of condemnation and outpouring of sorrow issued by Western leaders when terrorism strikes elsewhere. 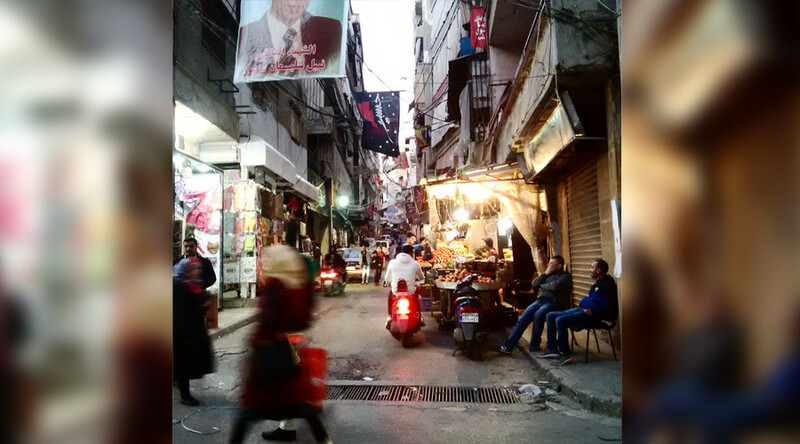 I paid a visit to Bourj al-Barajneh and al-Zahara, in November and December 2015, respectively. I witnessed firsthand their narrow roads with their destroyed buildings and homes, which emanated an immense suffering that most Western media glossed over. The Bourj al-Barajneh tragedy occurred one day before the November 13 attacks in Paris, yet the latter attack on the French capital would make headlines for weeks following; Facebook users changed their profile photos to images of the French flag; world leaders - who were largely silent on Beirut's tragedy the day prior, as well as the repeated terror attacks in Syria - convened in Paris to march in solidarity with the victims. 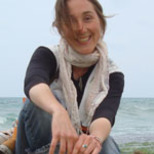 Western media's coverage of the Beirut attack was loaded with sectarian lexicon, essentially relegating those murdered civilians as belonging to a “Hezbollah stronghold” or a “Shia neighborhood,” which to Western readers obscures the fact that - while indeed proudly supportive of Hezbollah - these are everyday humans who have been targeted by terrorism. The Shia/Sunni Lebanese area is also home to many Christian and Palestinian residents. Visiting in the evening, as when the November 12 attacks occurred, I saw heavy pedestrian, motorcycle and automobile traffic along the narrow streets and lanes that host a number of shops and stalls. At the site of the second explosion, residents had erected a memorial and large poster of Adel Termos, the young man who gave his own life to prevent further loss of lives. On the school door opposite, a photo of a Rawan Awad, a young teacher who was killed in the attacks. A local woman pointed to second-story windows, telling me, “the blood reached the windows up there, flesh, too. The blast was huge.” It was said to be the biggest explosion in Beirut for years. Along the memorial were photos of other victims of these terror attacks: elderly, children, young men and women, victims of Western-backed terror and Western hypocrisy. Their lives didn't merit worldwide sorrow and solidarity. The sting that the Lebanese people felt when the world's attention was focused on Paris, the day after the massacre in Beirut, is a sting that Syrians have known deeply over the past five years. Take the example of Homs' al-Zahra'a. Any Western media reporting that does cover the repeated terrorist bombings of the neighborhood does so in sectarian and biased lexicon. The neighbourhood is described as: “an Alawite” area; a “government-held” area (AP). But it is not described in terms of its reality, a district comprising a majority of Alawis, but also significant numbers of Christians, Sunnis, and Shia, many of whom are Internally Displaced Syrians who have moved to this “government held” area after fleeing the terrorists' violence in their own home areas of Aleppo, Idlib, and elsehwere. The depiction of al-Zahra'a merely as “an Alawite” district is in line with the NATO alliance's sectarian project, a sectarianism which the vast majority of Syrians continue to refuse. Depicting al-Zahra'a merely as a “government held” area feeds into the Western narrative of obfuscating on the vast amount of support for the Syrian president, and further confuses readers as to the civilian suffering at each terrorist attack in al-Zahra'a. This human suffering I saw on a December 15, 2015 visit to the neighbourhood, meeting with family members of the dead. 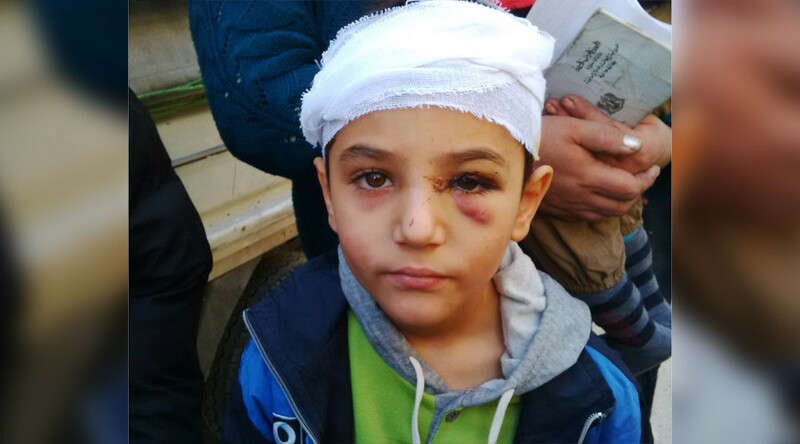 On the second story of what was the shell of his home, teenager Yousef Abdullah walked me through the ruins of the three story home housing two families, outside of which the car bombing had occurred just days prior. It was he who carried out the body of his 17 year old cousin, Caroline, crushed under rubble on the ground level. The small clothing shop on ground level belonged to Anaya Abbas, a 50, killed in the bombing. Her son, Alaa al-Hamwi, had only days prior returned to see his family. One of the Syrian soldiers defending the Kuweires airbase against terrorist attacks, the al-Hamwi family suffered doubly, from worry over their long absent son, and now from the murder of Anaya Abbas. Visiting al-Zahra'a one sees a vividly different face, a tormented face, than that which the corporate media allows. Many human stories abound, if journalists care to convey them. The sad hypocrisy is that when terrorist attacks occur on Western soil, these human stories are conveyed, ad naseum. Syria's Foreign and Expatriates Ministry has repeatedly issued letters to the United Nations Security Council (UNSC) requesting that such acts of terrorism in Syria be officially condemned, and that action be taken against those states supporting, financing, and enabling terrorism in Syria, namely Turkey, Saudi Arabia and Qatar. The letters specify that the terrorism being committed in Syria is not only by Da'esh (ISIS) but also by other terrorist groups, including “Jebhat al-Nusra, Jaish al-Islam, al-Jabha al-Islamiya, Jaish al-Fateh, Ahrar al-Cham,” and the so-called “Free Syrian Army”. These letters are routinely ignored by UNSC and the Secretary-General, although they are based on the tenants of UN resolutions pertaining to terrorism. It its latest letters, following the January 24, 2016 terror-bombings in al-Zahra'a, the Ministry noted the significance of their timing with respect to the upcoming Geneva talks. Following the December 12, 2015 attacks, the Syrian Ministry sent their standard letters, requesting condemnation of the terrorism. The request was supported by Russia, with their own draft statement, which was rejected at the UNSC. When the majority of the above-listed terror bombings have been claimed by Da'esh (ISIS), whom the West claims to be fighting, the glaring lack of condemnation of the Homs bombings, and the once-off condemnation of the Beirut bombings, reveals again the blatant hypocrisy of Western leaders. In his November 21, 2015 address, Biden, in his opening remarks did actually mention the name “Beirut”, and commented, “in the face of terror we stand as one.” Yet, his address focused primarily on Paris—the “simple human acts” carried out by Parisians post Paris attack—and made no other mention of Beirut, nor the “simple human acts” carried out there. Like Beirut residents rushing to donate blood, post-attacks, for example. Rather than addressing Beirut's humanity, or even deigning to mention terror attacks carried out on Syrians throughout Syria, Biden used the rest of his address to talk about Syrian refugees and the “rigorous screening”, “fingerprinting” and background checks refugees go through to enter the US. In other words, he used his platform to negate true suffering in Syria, and instead subtly indoctrinate his audience into equating Syrians with terrorism. Obama issued a proclamation “Honoring the Victims of the Attack in Paris” on November 15, 2015, ordering the US flag to be flown “at half-staff at the White House and upon all public buildings and grounds, at all military posts,”... and so on. In a search of the Whitehouse.gov website, using key terms like: “Bourj Barajneh”, “Burj al-Barajneh”, “Beirut”, “Zahra”, “Zahraa”, “Homs” + bombing, I came up with just one match, aside from the above-mentioned November 21VP Biden's uttering of the name “Beirut” before his ode to Paris. The entry was a Statement by NSC Spokesperson Ned Price, on the day of the Bourj al-Barajneh attacks. Neither Obama, nor Biden, deigned to personally make this statement. Such is Western hypocrisy towards those murdered by Western-supported death squads.